Service workers are a versatile API used for numerous exciting new browser features, from pre-fetching resources to push notifications. One interesting feature is the Cache API, which lets you store assets on the client's machine and intercept requests for these assets to load them from cache instead. Using the Cache API, you can make your site usable when your user doesn't have internet access, as long as you cache the right assets. 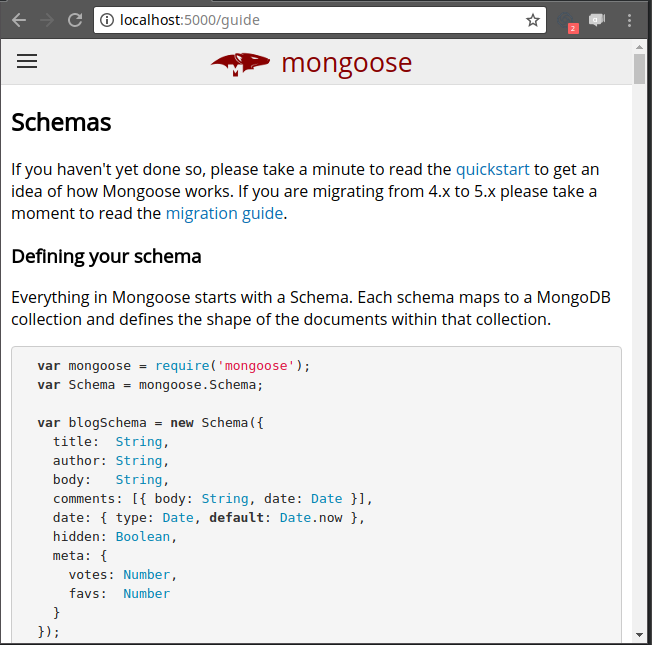 In this article, I'll walk through creating a service worker that makes the Mongoose schema docs available offline. 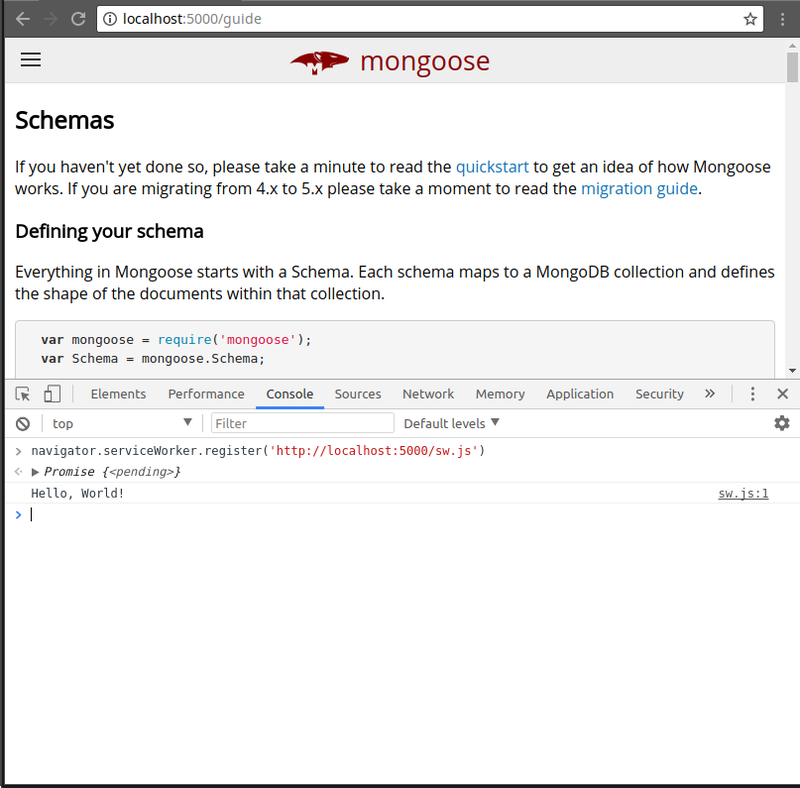 First, here's a raw HTML version of the Mongoose schema docs that has been tweaked to use absolute paths so it appears normally in your browser when you have internet access. Set up a static web server locally on port 5000 (I recommend npm install serve@9.4.0 ), you should see the below page when you visit http://localhost:5000/guide. The Mongoose docs site is lean relative to your average site, which is bigger than the original Doom video game. However, in order to render properly it still needs some fonts, CSS files, and images. 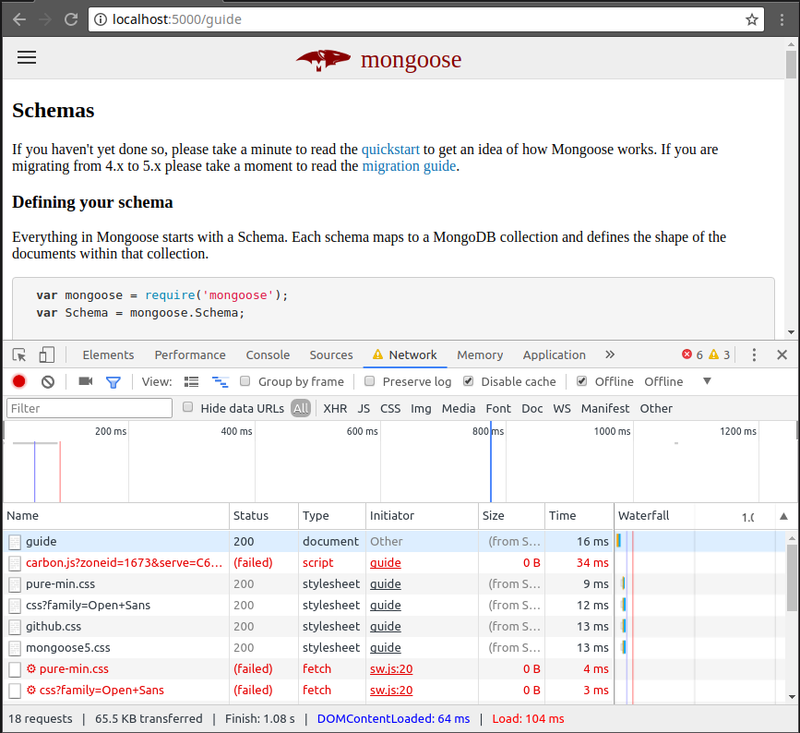 For the Mongoose docs, the JS files are non-essential, they just handle ads and analytics. If you turn on the "Offline" checkbox in the Chrome Network tab, the page will no longer render. With service workers, you can make this page render perfectly, even in offline mode. Service workers are scoped to a domain, so in this case you need to register a service worker for localhost:5000. You can only register service workers on what Chrome considers "secure domains". For the benefit of developers, 'localhost' is considered secure, but any http:// domain is not. To use service workers in production, you must use HTTPS. Let's create a sw.js file that prints out "Hello, World!" 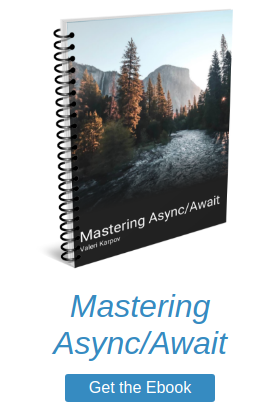 and put it in the top level of the directory the static server uses, so you can access your service worker from http://localhost:5000/sw.js. Next, run navigator.serviceWorker.register('./sw.js') from your Chrome console. You should see "Hello, World!" pop up. By itself, this service worker isn't interesting because it just prints a message when it is registered and doesn't listen to any other events. For example, if you reload the page, the console.log() won't execute again. Service workers can intercept every outbound HTTP request from your page. Change your sw.js file to the below to print out every single HTTP request that the browser makes when rendering guide.html. 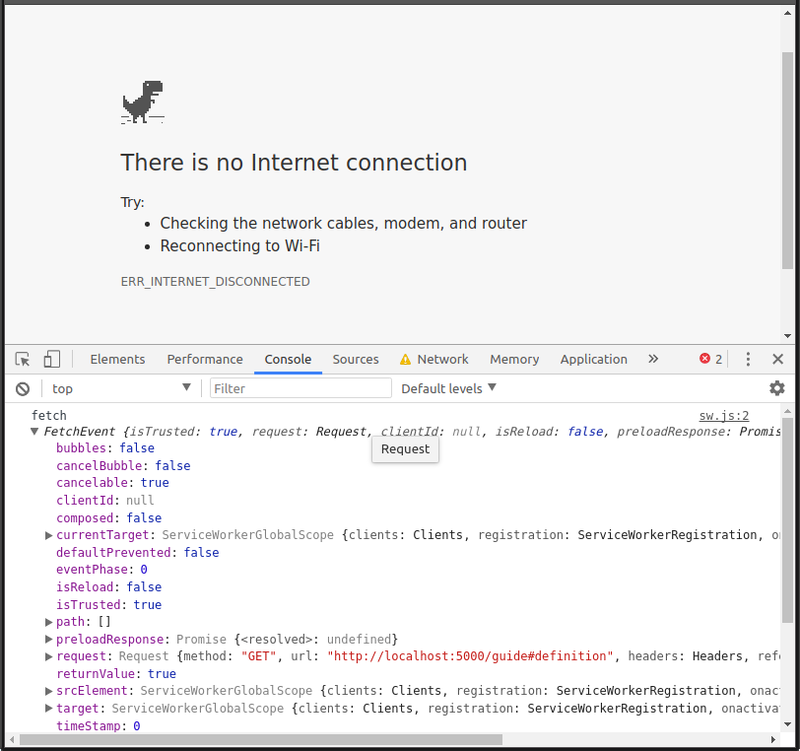 The browser retains the service worker even in offline mode, so if you turn on the "Offline" checkbox in Chrome's network tab you'll still see your service worker intercept the HTTP request. Using this and the Cache API, you can serve this page offline. The Cache.addAll() function lets you pre-fetch a bunch of assets and store them in the cache. Combined with the FetchEvent.respondWith() function, you can use promise chaining to catch() any network requests that fail and check to see if the asset is cached locally. Google calls this caching strategy "Network falling back to cache". 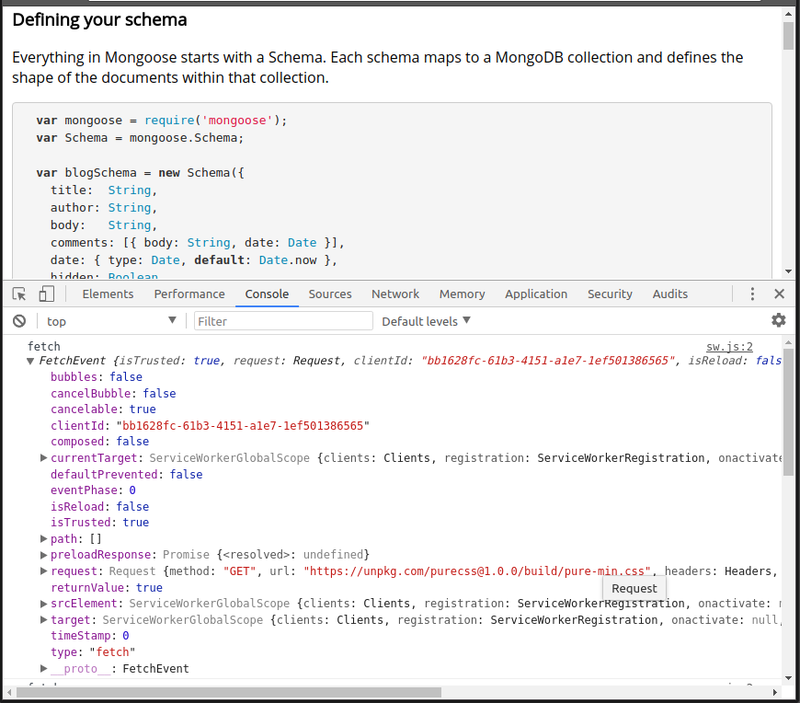 With this new service worker, you should see the Mongoose schema docs show up even in offline mode. If the service worker doesn't update automatically, you may need to force an update using navigator.serviceWorker.getRegistration().then(reg => reg.update()). Ever start a project on an airplane and realize that you desperately need access to docs? Service workers promise to make it much easier to access documentation that you rely on when internet is spotty or non-existent. If you maintain a documentation site, consider using service workers to let your users easily access your site offline.